Just re-published for your research and education. The word kahuna is an ancient term and is in use today. It is pronounced "kah-hoo-nah" and meant "keeper of the secret." The word for their secret lore was never found. The role of secrecy had been so strong and so well kept that it may never have been given a name... 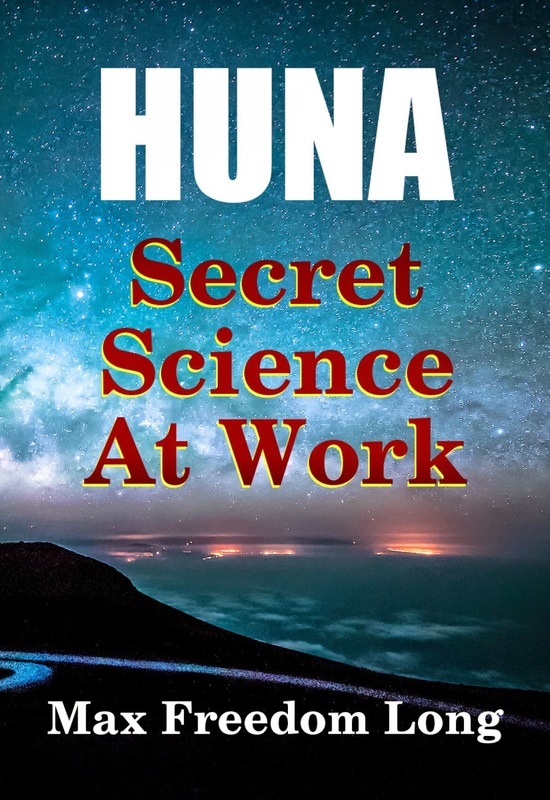 The name we used, for this reason, was Huna (pronounced "hoo-nah"), which means "secret." Enough basic information will be incorporated in this book to give a working picture of the system of beliefs and practices upon which experimental work has been based. Interspersed with the instructions will be found explanations of the sources of conclusions, of symbols, words, and word-roots familiar to Huna, but which we also found in other religions, mainly Christianity. These will tend to show that the meanings ascribed to Huna are well founded. That the same truth pervades all psycho-religious systems is apparent. The basic elements of Huna are part of the ancient wisdom found is some proportions in all religions. Huna is compatible with other systems. It interferes with none of them, but makes possible a greater understanding of the old truths.